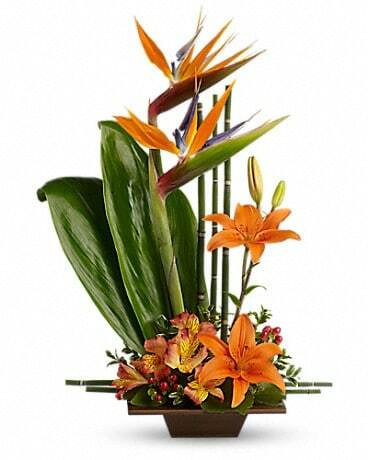 It is classic artistic florwer arrangements like this one that make flowers such an integral and beautiful ingredient in feng shui. 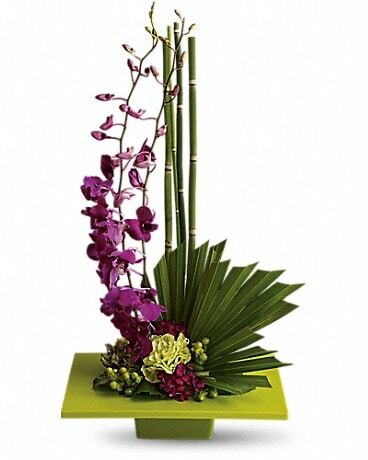 A simplistic container with exotic greens provide the perfect backdrop to purple orchids and a mixture of lovely tropical flowers. 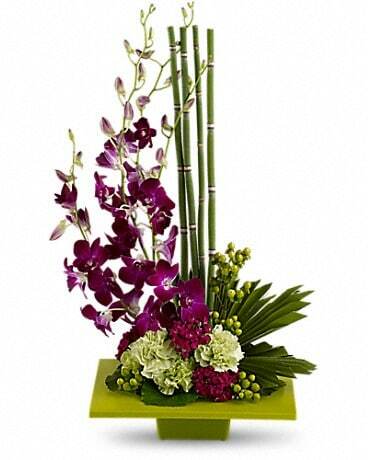 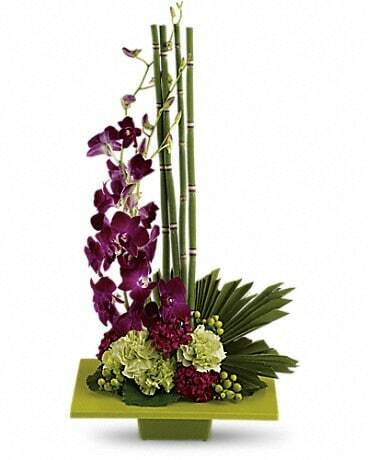 Designed with purple dendrobium orchids, carnations, tropical greens, a perfect gift for many occasions.